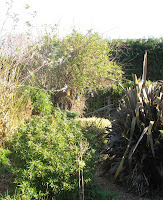 It was such a beautiful morning I couldn't resist a quick trip around the garden. I had the camera in my hand, so here are a few quick pics, although the quality leaves a lot to be desired. 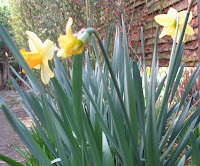 It isn't long since there was a race to see who had their daffodils flowering in time for St David's Day. This year it seems that everyone won! 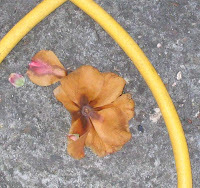 In fact, if you look closely at this shot you can see that one of the flowers is already spent. .....some of the flowers are already dead. 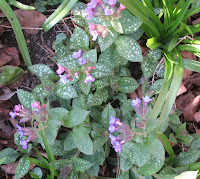 These little flowers are forming a carpet under the trees, and there too are the bluebells. It won't be long before they are ready to flower too. 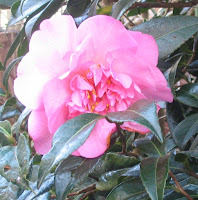 We still have three feet of snow on the ground and gardens...it is lovely to see your flowers!